Member company Cellpath kindly hosted the latest Mid Wales Manufacturing Group Annual General Meeting at their newly expanded premises on Mochdre Industrial Estate. Approval was provided for the Chairman’s Report and Account for Financial Year Ended 31st March 2018, and the following were elected as Directors C Gilliard, H Barrett, P Webber. 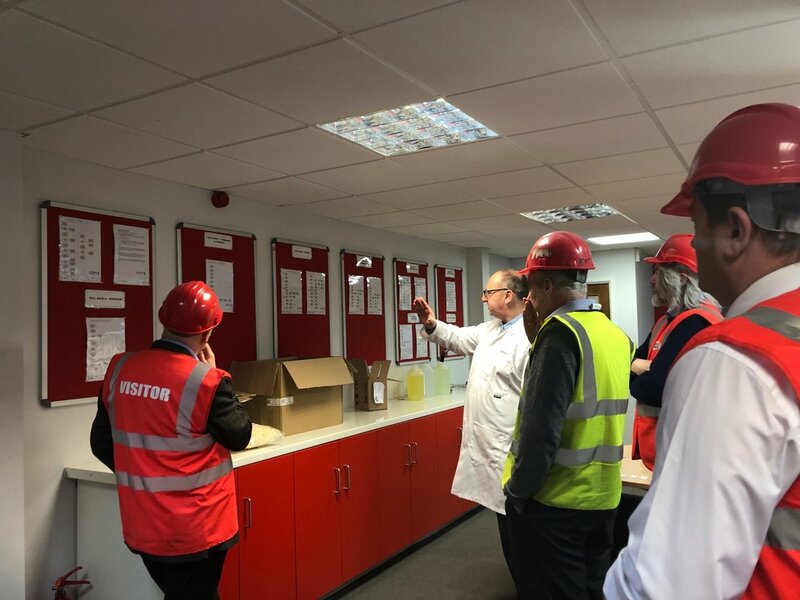 After the AGM business was concluded, members were given a tour of Cellpath facilities by Chairman Peter Webber. CellPath specialise in the manufacture and worldwide supply of products, consumables and services to the Cellular Pathology sector and employment has grown substantially to 100 people and seen investment in expansion. With an in-house state of the art injection moulding capability, the recent expansion means they can also manufacture additional products including chemicals, stains, tissue marking dyes and fixatives. Under Cellnass, their Human Tissue Authority licensed archive management service, also offers a complete solution to laboratories through administering pathological material in a purpose-built facility, thus releasing valuable time and space for other uses. Over 50% of NHS hospitals are now using the service.